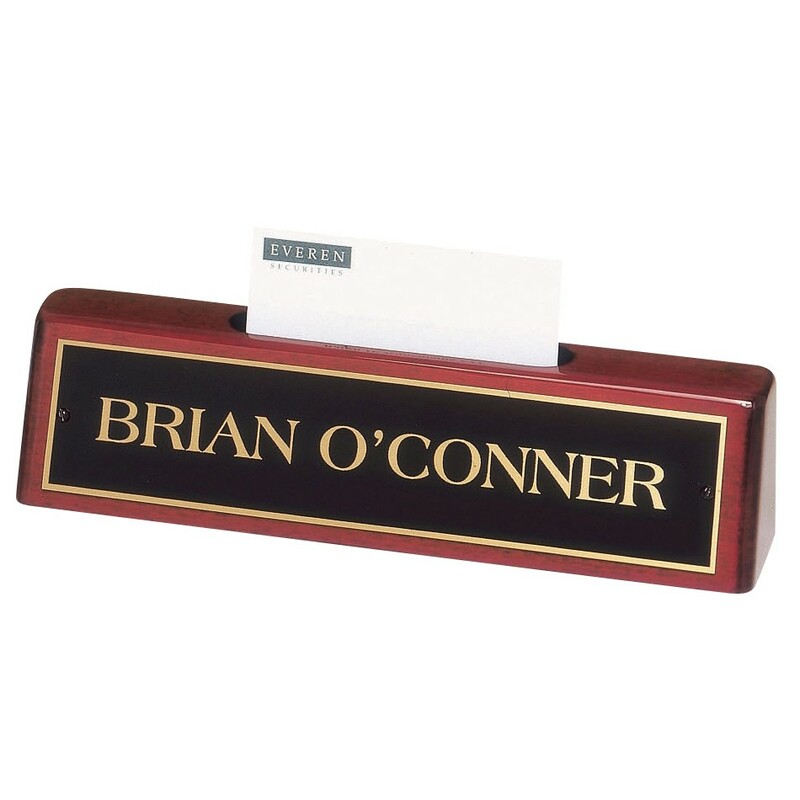 Add elegance to your desk with the Rosewood Name Plate With Business Card Holder. Functional and fashionable, this name plate measures 2 inches high and 8.25 inches long and features a business card holder in the center. It has a rosewood finish with a black brass plate with gold engraving.